The Company Hamburger Flugzeugbau was formed in 1933 year as aircraft manufacturing Department of the concern Blohm & Voss. The company was located in Hamhurg, as you might guess from the title, and mainly produces seaplanes for Maritime reconnaissance and anti-submarine warfare. After the defeat of the German aircraft production not its territory was forbidden, the company ceased operations and its engineers as a result of "operation Paperclip" was in the United States, where he worked in the missile and space project under the direction of Von Braun. In 1955, Germany won the right to build civil aircraft and brand Hamburger Flugzeugbau was revived as an independent manufacturer. 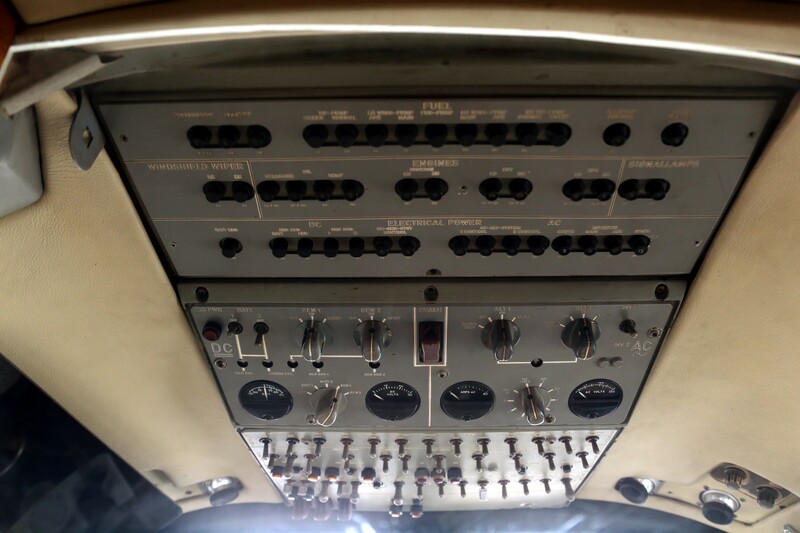 Initially, the company worked as part of a consortium for the production of transport aircraft Nord Noratlas, then attended a production license interceptor Lockheed F-104G Starfighter and military transport aircraft Transall C-160. The company's engineers continued working on his own development, but for various reasons these projects have not found a customer. 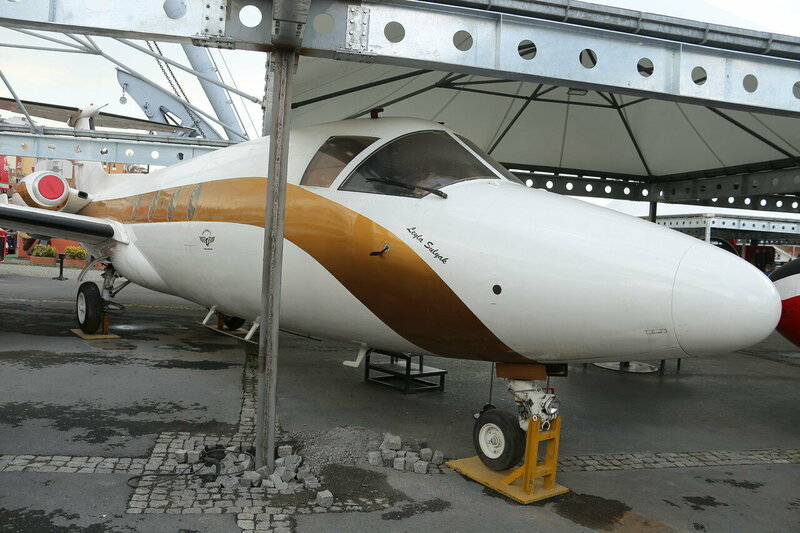 The only aircraft of its own design HFW - HFB-320 Hansa Jet. the Design of the aircraft began in 1960, the first flight was performed in April 1964, and two years later, and in early February 1966 began flying the first production copy. 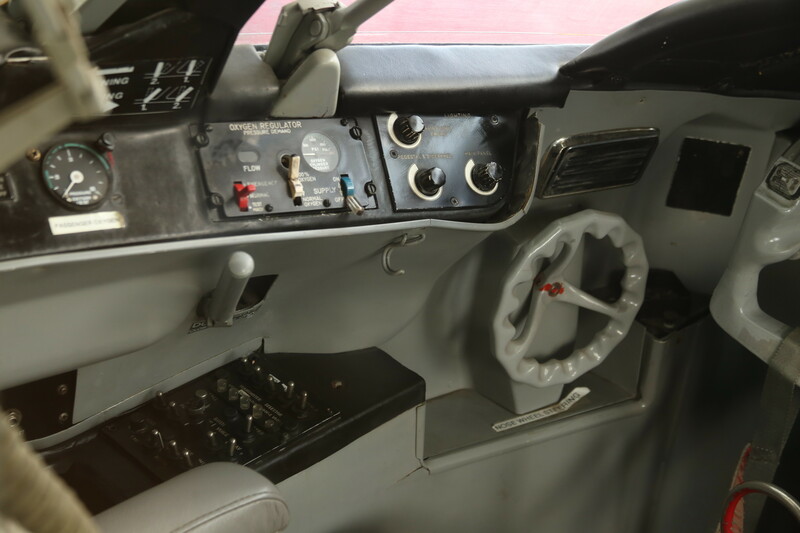 The aircraft was manufactured until 1983, the company has built 47 units. 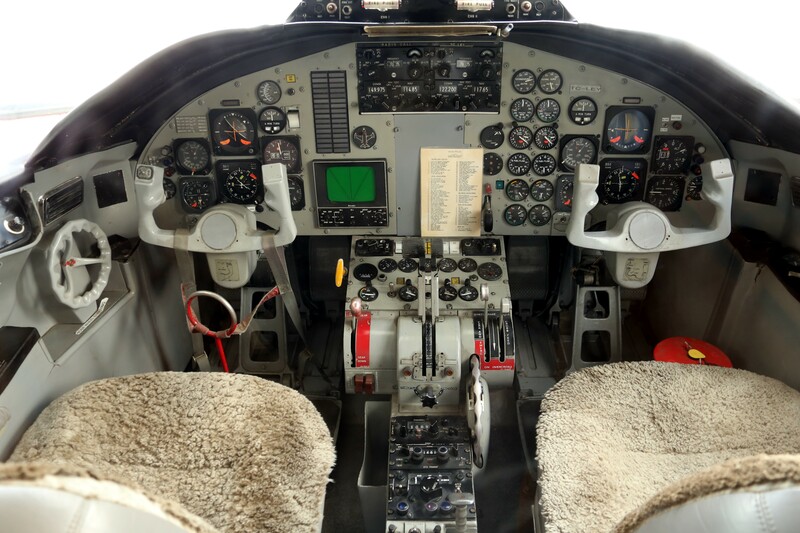 Although the aircraft was developed under contract with the German air force, the first buyers were corporate customers - Italcementy and the Argentine state oil company. Kalifornijskij Golden West Airlines was carried out on Hansa Jet flights from Los Angeles to Santa Barbara and Palm springs. Since 1969, the aircraft began to arrive at Luftwaffe in the VIP version, and in 1976, the air force ordered 8 aircraft as carriers of equipment for electronic warfare. In this capacity, the HFB 320 he served until 1994. 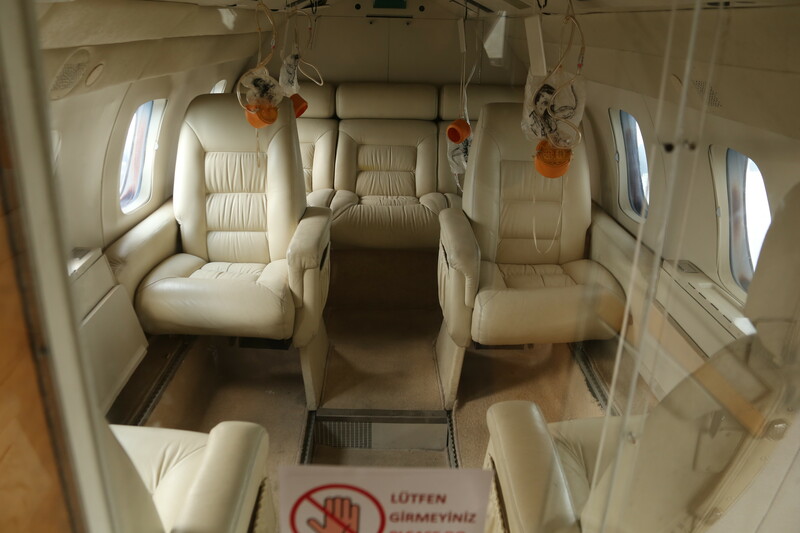 During the operation had 9 accidents, 6 of them fatal, however, only one accident of the material was the cause of the accident, in other cases there had been pilot error. Nevertheless, the aircraft proved too expensive to operate, so customers no longer found. Despite a not too successful career, the aircraft made history as the only passenger ship with forward-swept wings (-15 degrees). Because of this monocoque wing spar passes through the fuselage, providing greater structural strength with less weight. Fuel tanks placed in the wing, as usual, on his wingtips. This allowed the use of thin airfoil that has reduced drag, and hence fuel consumption. Maximum takeoff weight 9200кг, two turbojet engine provided a cruising speed of 825 km/h at heights up to 11.400 meters the flight range of 2,400 kilometers. 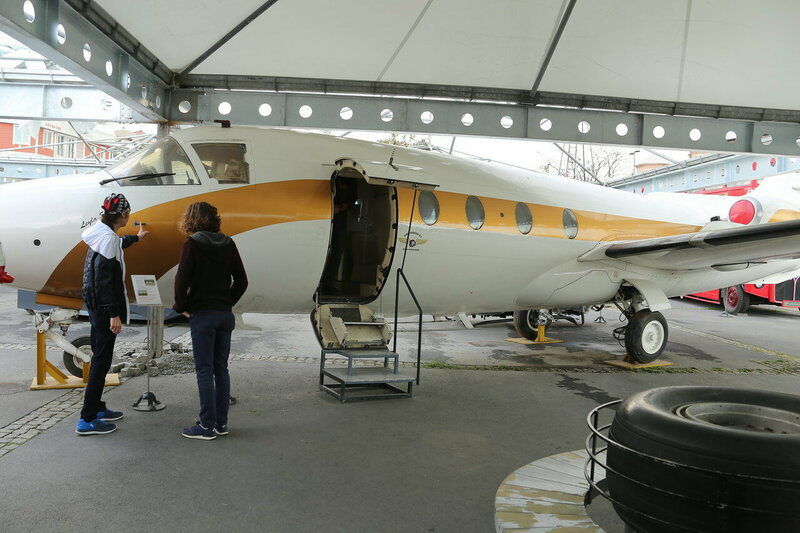 Museum Visitors can look inside the aircraft. 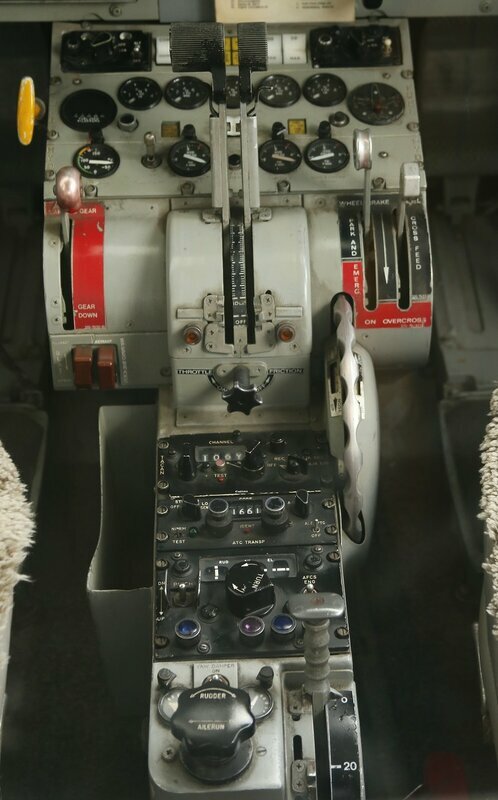 To sit in the pilot's seat, of course, impossible, but you can see the cockpit in detail. 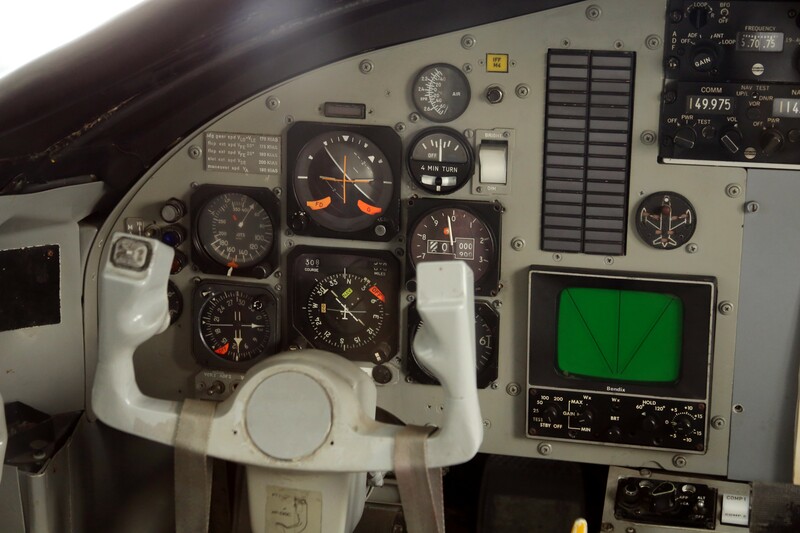 Dashboard of captain provided with only the devices necessary for aircraft control and navigation, artificial horizon, compass, signs of height, horizontal and vertical speed. Here is the radar screen. All is in excellent condition, though now in flight. Registration data on aircraft is not written off, the status is "stored". 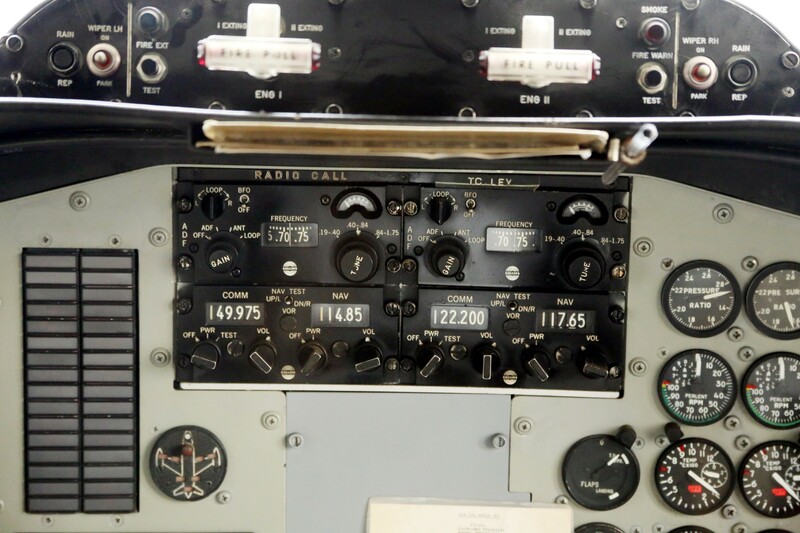 The center panel with the radio equipment for navigation and communication - two ADF (Automatic Directional Finder, or radiocompass) and two VHF transivers. Over them a control panel of the fire extinguishing system of the engine. 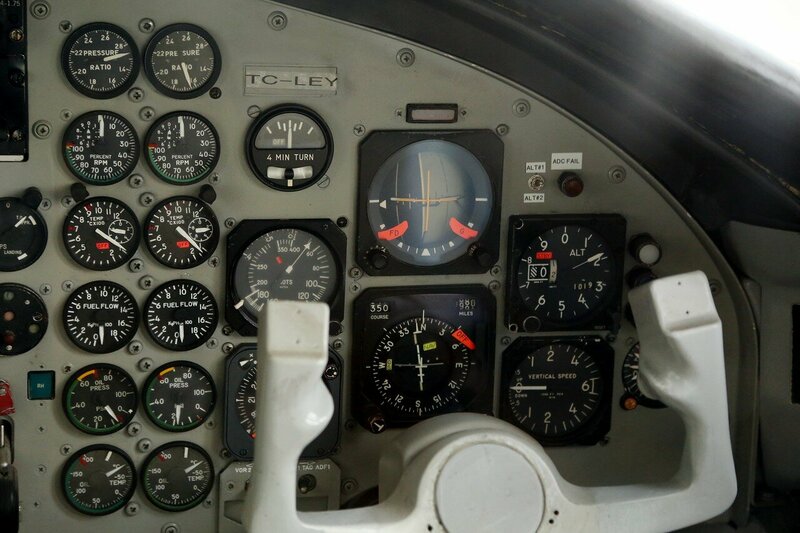 dashboard co-pilot - control devices motors and again the basic flight instruments. 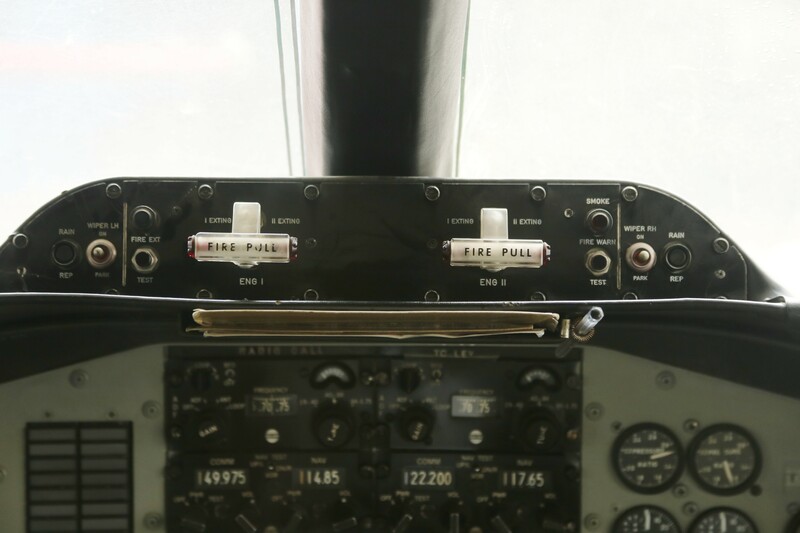 center console controls engine thrust and the wing mechanism. Passenger compartment HBF-320 was built in different versions, with capacity from 7 up to 15 people. Toilet, it seems, is not provided. 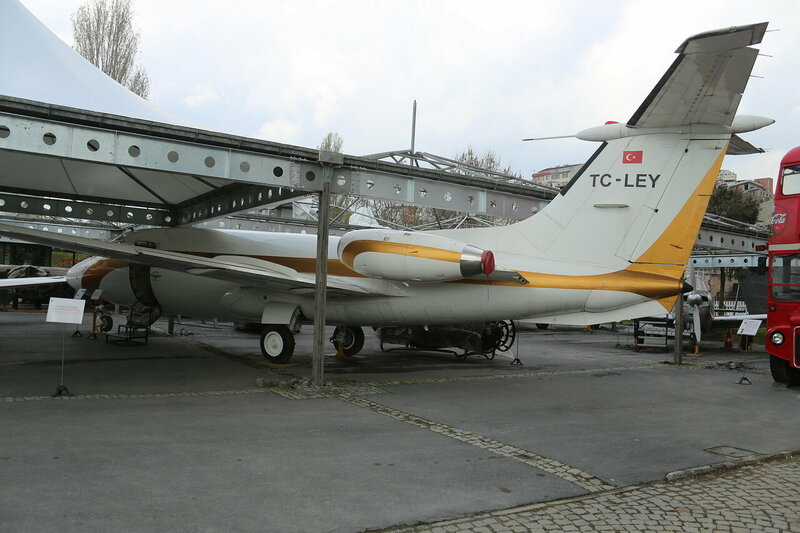 Represented in the Museum the aircraft with the number TC-LEY was operated by the German air force, and then belonged to a private person.